Most of us have never put much thought into this, but the question needs to be asked — what exactly happens to all of our online accounts when we die? No, the internet won't just know and delete accounts for you, so you need to plan for life's one guarantee. Because without a plan, things become a lot harder to sort out. One the few truths of the internet is that whatever you contribute to it never goes away. Whether it's an old embarrassing picture or a late night rant, these creations are never truly erased and can potentially be copied by others. The same goes with you existence. While many accounts will eventually deactivate due to inactivity, it would take several years. So you really need a plan to pass your passwords along to someone who will properly manage your accounts when you're gone. If you were to unexpectedly pass away tomorrow, your memories and knowledge will go with you. The internet won't realize that you died and your accounts will remain active for several years. Your loved ones will try to tie up all the loose ends of your life including your online accounts. However, without your passwords, this will be a daunting task. According to Yahoo, if an account owner passes away, the family of the deceased needs to provide a formal letter requesting access to their account, a copy of the document which appoints the individual as the legal representative of the deceased's estate, and a copy of the death certificate. Only after all this is presented and approved will the loved ones gain access. The extensive list of documents needed to grant admittance to the deceased's accounts isn't exclusive to Yahoo. Google and Microsoft have a similar process which asks for even more documentation. Another factor that your family will have to deal with is knowing all the different accounts that you have. Without a list written somewhere, your family will more than likely miss some accounts that they weren't aware of. And this is where the problem lies. Between hunting down all accounts and trying to gain access to the ones they know, your account is sitting vulnerable to cyber attacks. While there should be no reason that your deceased status would be known to the hackers, there is a multitude of ways to find the username and email address of random individuals. Combine that with the weak password choices of millions of users, and given adequate time, hackers can gain access to the deceased's account before the family does. Once there is one breach, depending on the variation between the different passwords used for different accounts (assuming there's any variation to begin with), hackers can use access from one to gain to passage into others. And even if the user is alerted, without anyone to read the alert, no one will know that the accounts have been hacked. For these reasons, we all need to prepare now for the unexpected. And this starts with using a password manager that comes with an emergency access feature. First and foremost, if you're not using a password manager in 2018, you should start right now — regardless of any postmortem consequences. A password manager is a database which contains all your passwords in one secure location. Your passwords are only accessible with a master password, which is the only password you need to memorize. Once all of the login information for your various accounts has been added to the database, the password manager will assist in changing those passwords to stronger ones. These passwords can be as long and complex as allowed by the website, because you don't need to memorize them. This is because most managers allow you to autofill the login information whenever you wish to access your accounts. 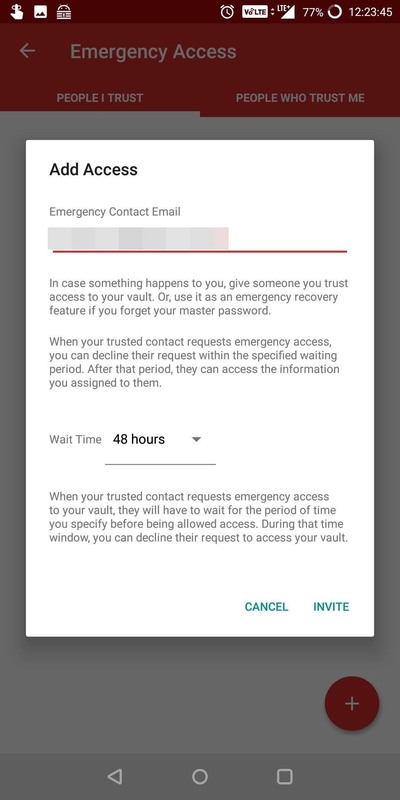 But when it comes to the question of what happens to your passwords when you die, a feature called "Emergency Access" provides the most help. 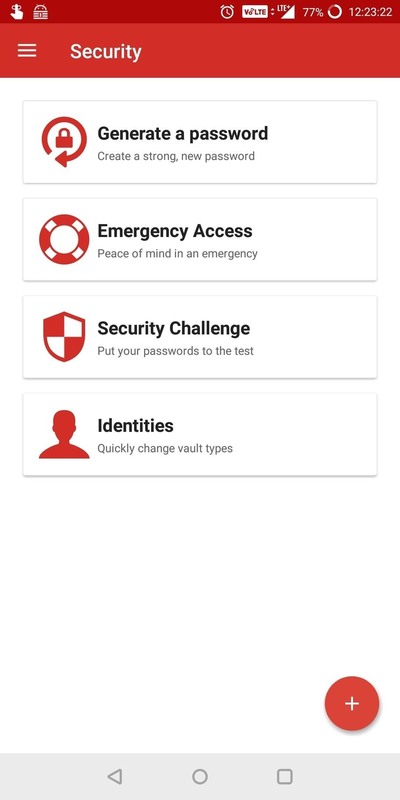 Password managers with emergency access functionality will let you assign a list of trusted loved ones who can enter your password manager in the event of your death. Once enabled, if something was to happen to you, your family would be able to access your database without even knowing your master password. With this information, closing all your accounts is significantly easier, as your loved ones will be able to access all of your accounts as if they were you. It also solves the problem of not knowing about a few niche accounts here and there, because if you're using your password manager right, you'll have all of your accounts added to it. In other words, your family will have the means and the knowledge to shut down all of your accounts after you die. But emergency access is just one feature in a good password manager. Other options, such as the ability to sync your passwords across all devices, security methods, and integration with your particular smartphone model should all be factors in deciding which password manager to use. We did a thorough analysis of all these comparison points for the top password managers on Android, so if you're ready to get your affairs in order and better secure your online world in general, check out the following link.